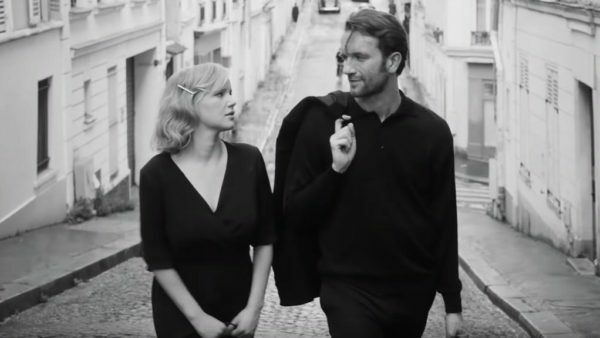 Pawel Pawilkowski’s stark black-and-white Polish film, Cold War, charts the course of a tempestuous romance between two people temperamentally at odds — Wiktor (Tomasz Kot), a serious-minded musician who strives for artistic freedom, and Zula (Joanna Kulig), a flighty dancer and singer who’s content with the status quo. The lovers are loosely modelled after Pawilkowski’s late parents, to which his movie is dedicated. They conduct an on-again, off-again 15-year relationship that unfolds in Poland, France, East Germany and Yugoslavia against the backdrop of a new Communist political order in Poland and the acrimonious Cold War that pitted the United States and the West against the Soviet Union and its Eastern European allies. Cold War opens in 1949 as Wiktor tours the ragged postwar Polish countryside to recruit talented dancers and singers for a folk music group he plans to create. It will be called the Mazurek ensemble. In auditions, Wiktor and his associate appraise the talents of hopeful amateur performers. A blonde and beautiful performer, Zula, attracts his attention. She’s a free spirit, simple, self-absorbed and uninhibited. Ten to 15 years younger than Wiktor, she has a rather complicated past, but perversely enough, he’s utterly intrigued by Zula. The film is divided into segments related to dates and countries. By 1951, Wiktor’s Warsaw-based troupe has made a name for itself throughout Poland. But much to his consternation, the Polish authorities want his company to reflect Communist values rather than Polish peasant culture. Pragmatically bowing to the power of the state, he conforms. Inevitably, Mazurek is singing the praises of Joseph Stalin. Wiktor is also compelled to remove a dancer whose swarthy appearance is at variance with the “pure” Polish Slavic look that an apparatchik demands. Pawilkowski’s implicit message is clear: ethnocentrism, in the name of Polish nationalism, trumps Communist notions of equality and solidarity. By now, Wiktor and Zula are embroiled in a torrid affair. Wiktor, feeling artistically stifled and betrayed, wants to defect to the West. Although Zula is ambivalent, she promises to join him. Wiktor defects in East Berlin, but she has second thoughts and remains behind in her comfort zone. Three years elapse and Wiktor appears in a smoky cafe in Paris, where he plays the piano. Zula turns up and explains why she stayed in Poland. They’ve both in new relationships, but they’re still in love with each other. The film flashes forward to Yugoslavia, circa 1955. Wiktor sits in a crowded theater as Mazurek impresses an audience with yet another dazzling performance. Zula and Wiktor make eye contact, but do not meet. They may as well be hundreds of kilometres apart. Zula, in 1957, shows up in Paris. She’s married to a Sicilian. He’s still single. She decides to remain in Paris with Wiktor. Zula, however, is unfaithful and cruel. She boasts of a night of carnal pleasure with the manager of the cafe that employs Wiktor. Wiktor, having decided to leave France, contacts a Polish diplomat. He promises to facilitate his return to Poland if he agrees to be an informant for the Polish government. In the next scene, which takes place in 1959, Wiktor finds himself in deep trouble in Poland. Zula, playing the role of a guardian angel, comes to his rescue. They’re reunited in 1964, but the future seems uncertain. 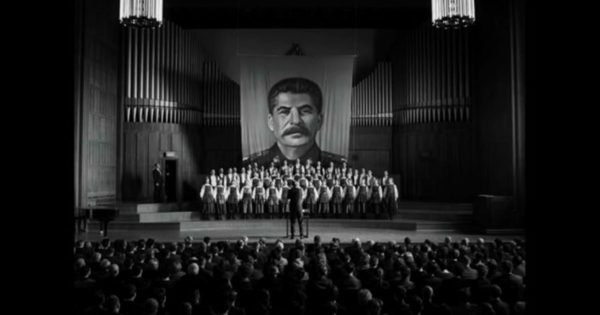 Cold War, Poland’s entry for best foreign film at this year’s Academy Awards, is dark, moody, spare, supple and laconic. Ably directed by Pawilkowski, it’s excellently cast, with Kot and Kulig turning in impressive performances. This is a film that lifts Polish cinema to a higher place.